Icra is a modern education responsive joomla template beautifully crafted for using in any related product in the industry like schools, pre-schools, kid schools, university, coursing , art schools, event management site, bloger etc. This joomla template has been coded with love using joomla latest version, T3 framework and Bootstrap. 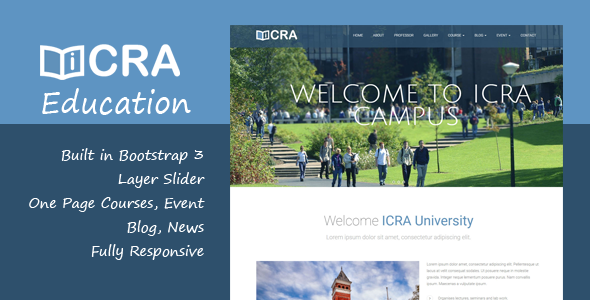 It is fully responsive, so you have the power to make your new web page look awesome on all types of devices built with icra.